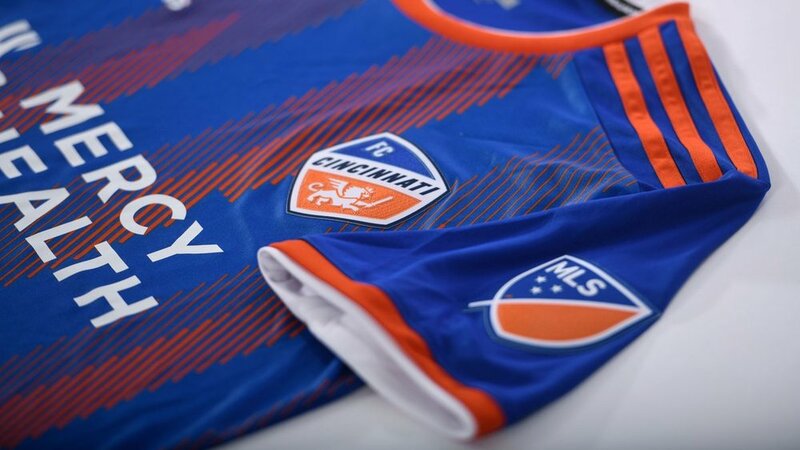 FC Cincinnati unveiled their first-ever Major League Soccer jersey. 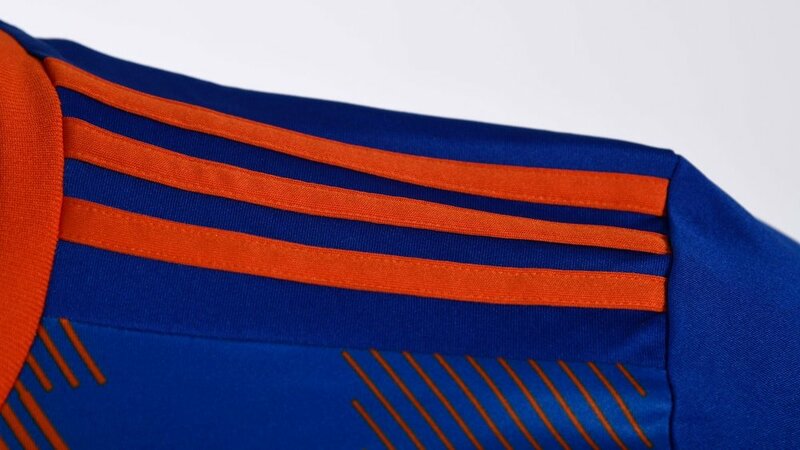 The team’s primary kit shows off a royal blue base, which is distinctively accented with orange throughout. The stripes have a unique diagonally accented lines that vary in width that make up the vertical stripes on the front. 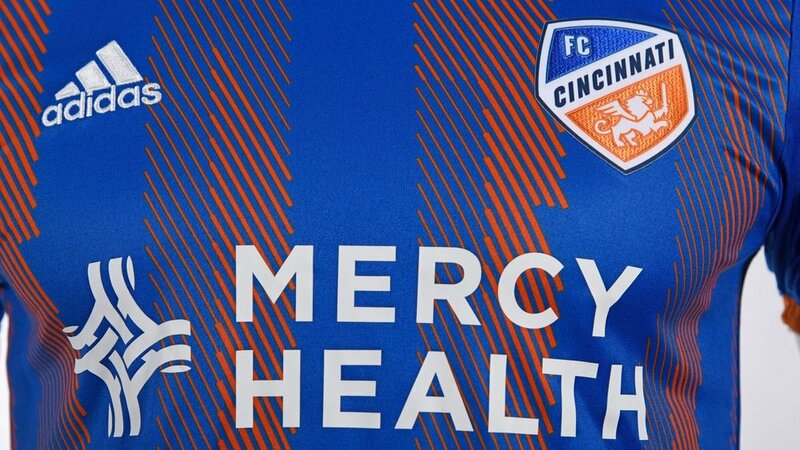 The presenting sponsor for the kits is Mercy Health, which we see their wordmark across the chest. 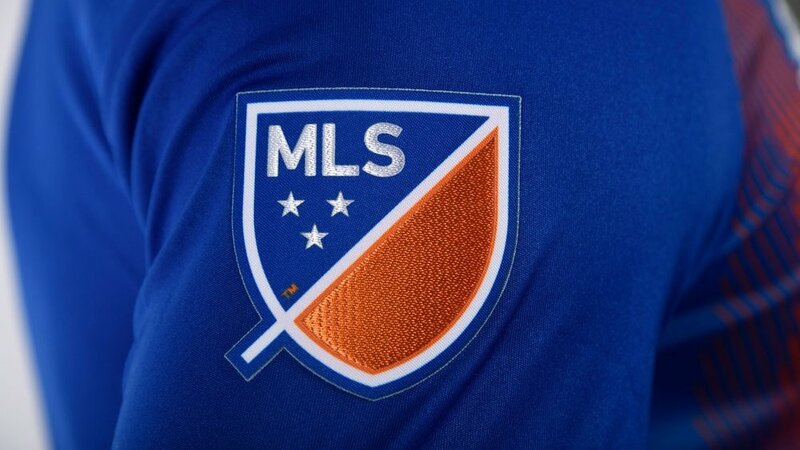 Over each player’s heart is the team’s crest emblazoned in a special metallic thread for the inaugural season. 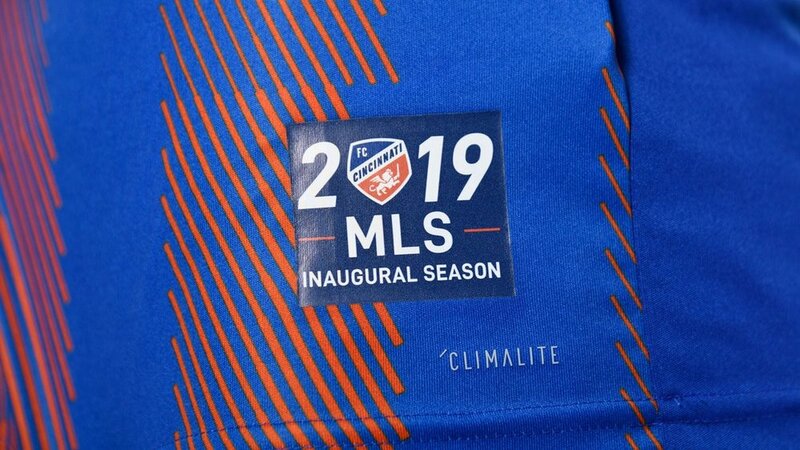 The left front hem of the jersey showcases a special jock tag that features “2019 Inaugural Season” with the 0 in 2019 being the club’s crest. The kit is finished off with royal blue shorts that have the club crest on the right leg’s hem and royal blue knee-high socks.